The World Bank has argued that Eskom is too big to fail, and that the South African economy would not withstand a financial collapse of the energy company with cash shortages. "It's too big to allow it to disintegrate, and fixing all these pieces will be more expensive than trying to reform it," said the bank's country director for SA, Paul Noumba Um, at the launch of the bank's 12th economic update on Tuesday. in Johannesburg. Noumba Um said the government is considering how to reform the debt-laden energy company and is likely to take more action after the general elections in May. "It depends on what the government can do, but given the magnitude … it will take more time." The precarious financial situation of Eskom, which includes R420bn in debt, has become an urgent priority for the government, as South Africa seeks to maintain its unique investment-grade credit rating. A working team of energy experts and academics was established by President Cyril Ramaphosa after a series of cargo spills in December. He is expected to submit his preliminary report on the change plan for the electric company by the end of January. A 2016 World Bank study found that Eskom had a staff surplus of 66% compared to energy services around the world. The energy services company has tentatively begun to review its senior management, but the unions will resist the widespread job cuts. 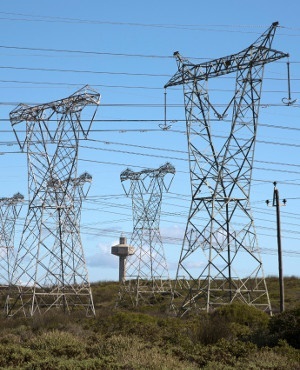 Noumba Um said it was necessary to consider the reconfiguration of the three units that are currently in Eskom, generation, transmission and distribution. The ANC treasurer general, Paul Mashatile, said in July 2018 that the ruling party is considering dividing the three sections and attracting private investments. Noumba Um added that there was also an important debt restructuring dimension to fix Eskom. "Eskom owes money to the bank, but the municipalities also owe Eskom money, that everything must be reviewed." The report published on Tuesday predicts a moderate acceleration in the economic growth of SA to 1.3% in 2019, highlighting risks such as a possible drought, debt in state companies and contingent liabilities. South Africa's GDP growth has lagged far behind its economic peers in emerging markets. At 1.3%, the projected real economic expansion of SA will be less than one third of the estimated growth rate of 4.2% of its peers in emerging markets. It is also well below the projected sub-Saharan average of 3.7%. The World Bank said that the maturation of contingent liabilities in state entities could add 2 percentage points to South Africa's debt-to-GDP ratio, which increased to 55.8% in 2018/2019.